Crutches and walking aids issued to patients. 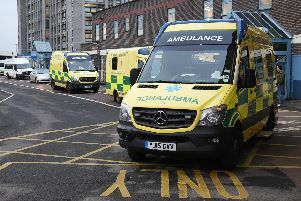 On the previous occasions I wrote to various newspapers ,health authorities and even to Jeremy Hunt`s office, when in charge of the NHS, over the returning of such items.................and the waste to the NHS and country. Having read about schemes being introduced for people to be able to return these walking aids, I automatically assumed that this was going to be a nation wide scheme that would be introduced, and which may have been adopted by this area. After ringing the Doncaster Royal Infirmary and speaking to Orthopaedics and Physio , I was amazed and even annoyed that staff just did not want to know about unwanted walking aids.....and not open to any discussion or suggestions. I find this quite despicable that we are still wasting public and NHS funds by having to dispose of these items. Again I will copy this letter to various MP`s, Secretary for Health and any other body who wishes to run with this problem. I will endeavour to search and find a home for these items.